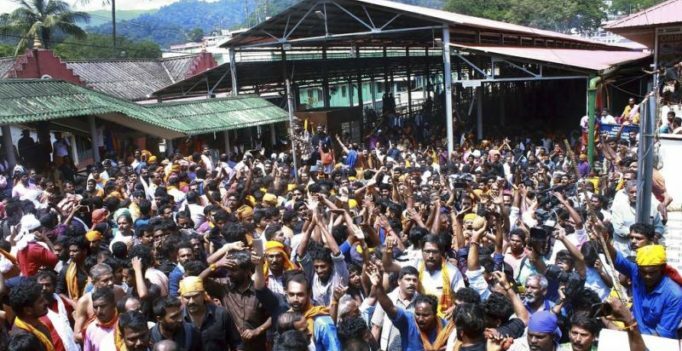 Sabarimala (Kerala): The Sabarimala temple’s first pilgrim season will end on Monday at 10 pm after the five-day puja. The hill-top shrine in Kerala had opened on October 17, first time after the Supreme Court’s historic verdict, allowing women in menstruating age groups to enter the temple. In the last five days, ten women between 10-50 years have been stopped by angry devotees and protesters from entering the 800-year-old shrine in Kerala’s Patthanamthitta district. On Sunday, a 47-year-old woman suffered panic attack at the entrance of the Lord Ayyappa temple after protesters surrounded and heckled her. Journalists who have been reporting from Pamba have been told by the police to leave the area as they had information about targeted attacks on the media, news agency ANI reported. 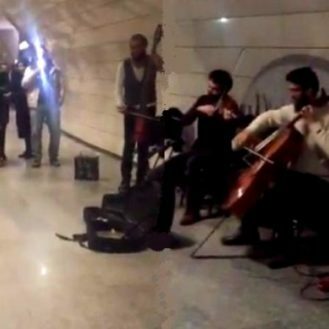 Earlier, four media organisations were targeted — in some cases in presence of the police. The temple administration has written to the Kerala government that it would lock the temple and halt rituals if centuries-old tradition is broken by allowing women between 10-50 years in the temple. Now there are concerns over more than a thousand men camping inside the Lord Ayyappa temple, who can take law into their own hands, to stop women below 50, from entering the shrine claimed the authorities. Following accusation by the opposition, the BJP has denied that it has deployed its party workers at the temple, to intensify the protests. The party has demanded a special assembly session to seek the Centre’s intervention, while the Congress sought an ordinance by the Centre to override the Supreme Court’s order. Both Congress and the BJP have alleged that the ruling CPI(M) in Kerala was trying to destroy the sanctity of the shrine. The state BJP on Sunday decided to stage protests across Kerala against the Supreme Court’s Sabrimala temple verdict. “There will be a month-long Sabarimala Ayyappa Samrakshanaye Abhiyan,” K Surendran, Kerala BJP General Secretary told ANI. BJP workers will go from door to door and tell people about the importance of maintaining the sanctity of the temple, Surendran added.